Duties: The Chief Cook is a Civil Service Mariner (CIVMAR) employed by the Navy to serve the Military Sealift Command (MSC) onboard naval auxiliaries and hybrid-manned warships worldwide, in peace and war. MSC exists to support the joint warfighter across the full spectrum of military operations. 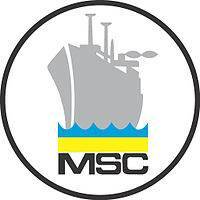 MSC provides on-time logistics, strategic sealift, as well as specialized missions anywhere in the world, in contested or uncontested environments. FOOD PRODUCTION OPERATIONS. The Chief Cook shall ensure that the approved menu is strictly adhered to and prepared IAW the approved recipes, unless the Chief Steward authorizes specific changes or substitutions. The Chief Cook shall inspect all galley equipment daily to ensure safe operation, rigid sanitation and proper maintenance standards are adhered to. SANITATION AND SAFETY COMPLIANCE. Ensure that every precaution is taken to prevent contamination of food, including proper thawing techniques, and inspection of all food before preparation and serving. PROVISIONS MANAGEMENT. The Chief Cook shall ensure that the “Breakout” of provisions necessary for the production of all meals is correctly inventoried and recorded and that leftovers and unused products are correctly stored and labeled. SUPERVISION. The Chief Cook is responsible for the immediate supervision and job performance of personnel involved in food preparation, production and presentation of meals, to include ensuring that dining areas, salad bar, dessert bar, beverages, and condiments are set prior to the beginning of each meal and ensuring sanitation standards and personal hygiene are maintained at all times and IAW NAVMED P-5010 guidelines. a. Two years (24 months) of cumulative service as a CIVMAR permanent MSC Cook Baker or temporary MSC Chief Cook. The two years permanent Cook Baker or temporary Chief Cook must have been within the past five years from closing date of this announcement. The candidate may exceed this five year requirement if continuously employed in a food service capacity. (b) Annual 4 Hour Sanitation Course. b. Previous U.S. military experience in Culinary (Pay grade E-6 or above with at least one Culinary tour of not less than 24 months in a Lead Foodservice Production Capacity. The U.S. military service must have been within five years from closing date of this announcement. The candidate may exceed this five year requirement if continuously employed in a food service capacity. c. A current Certification as a Chef De Cuisine or higher from the American Culinary Federation (ACF). d. Graduate of an accredited culinary academy/school and have completed Serv-Safe principles. (1) A culinary Cooking and Baking Course. (2) Current annual 4 hour sanitation course. 1. Knowledge and ability to manage food production operations. 2. Knowledge and ability to apply and adhere to health and sanitation criteria. 3. Knowledge and ability to requisition and manage provisions. 4. Ability to supervise and assess the work of others.